BY 1970, THE US muscle-car craze had spread from compact pony cars to a new breed of fatter coupes and larger models. 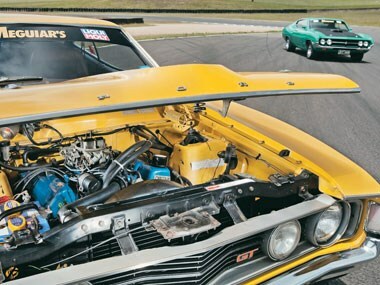 As the 'Cuda vs Charger round showed, it created a level playing field for the bigger Aussie muscle cars, which were by necessity based on family cars. 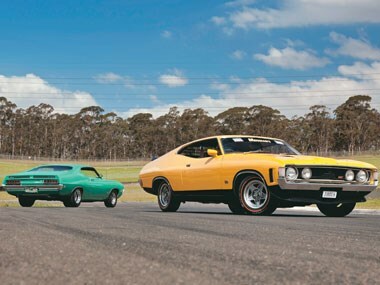 Nowhere was this convergence in size and style more obvious than the US 1970 Ford Torino and the Australian 1972 Ford XA Falcon. Although never admitted publicly, strong market acceptance of Chevrolet's 1965 look forced Ford and Chrysler to adopt compound curves and 'Coke bottle' lines. The second-generation Torino, which started life as a rebadged US Fairlane, was a defining moment after Ford added its own take on the curvy GM look. Along with various Chrysler and GM rivals, the Torino would help shape the next generation of Japanese cars including the Toyota Celica, Mazda RX-4 and numerous Datsuns including the 120Y! The XA styling was a case of '69 Camaro meeting '70 Torino. The Torino was promoted as "shaped by the wind", with an extended bonnet that hid the wipers - a feature that didn't reach the XA. Its Fairlane wheelbase grew by an inch to 117in (2972mm), leaving a 108in (2743mm) wheelbase Mustang to fill the gap between the Falcon's more compact Maverick replacement, which had returned to the original Falcon's dimensions. This forced Ford Australia to go it alone with a unique Aussie 111in (2819mm) wheelbase Falcon for the first time, but the XA Falcon still had to be completed in the US as Ford Australia's Research Centre was still some years away. 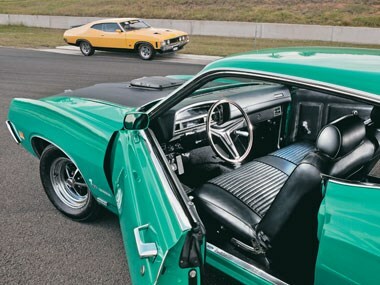 A 1971-72 Mustang versus an XA Falcon GT round would have been little different, perhaps closer. The Torino 429 Super Cobra Jet was the NASCAR equivalent of a Bathurst Falcon GT special. A 'Drag Pack' option with four-bolt mains, forged pistons, a 790cfm Holley, engine oil cooler and solid lifter cam added Super status to Cobra Jet. The obvious local equivalent, the XA GT-HO Phase IV, was to be raced as a four-door sedan but was killed off by the 1972 supercar media beat-up. Slow XA Falcon Hardtop sales prompted a factory rethink and the important race bits were homologated clandestinely and randomly as RPO83 (Regular Production Order 83) on regular XA GT sedans and hardtops. 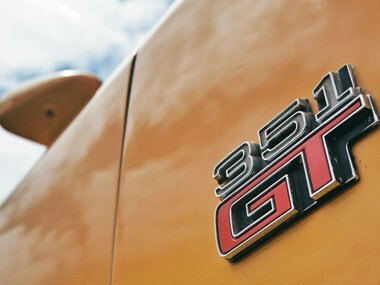 It allowed the factory XA GTs to race as Hardtops in livery supporting marketing specials including the Superbird and later the XB John Goss Special and XC Cobra. A Torino Sports Roof versus XA Falcon Hardtop face-off was waiting to happen. A stock XA GT RPO83 was never the ground-shaker the GT-HO Phase III was, despite sharing its larger four-barrel carburettor and extractors. The winged engine sump, bigger fuel tank, close-ratio transmission and rear disc brakes on some RPO83 examples were added for endurance racing, not performance. Like Holden's HT Monaro GTS 350 manual, it was a case of sneaking the right combo of parts onto the market without spooking the horses. The understated RPO83 made this round much closer than it might have been if it had a wilder cam, fat rubber and loud exhaust. At first, it looked like the Torino had this in the bag. John Bowe gushed: "Despite its bulk, it is surprisingly well-balanced. The engine is super-torquey, everything an American muscle engine should be, and the live shaker reminds you of the XY GT." Jim Richards agreed: "I liked it mainly because of the badge that said 429. It drove great for a big car. It looked huge and cumbersome but wasn't that way to drive." Editor Ponchard enthused: "I love this car. The 7.0-litre V8 is spectacular. I never expected it to be so velvety smooth. It's so wide and flat and beautiful. The perfect inspiration for the XA." All judges noted just how far the field had moved in five short years. The Torino was "well and truly in the 1970s", according to Ponchard. It was in this context that the cracks started appearing in the Torino when it seemed it had this round sewn up. Phil Walker was not keen: "It's a beautiful car mechanically but I am not a big-car fan, even though it didn't drive like a big car." None other than Lee Iacocca, the father of the Mustang, spotted the fundamental differences at the time. 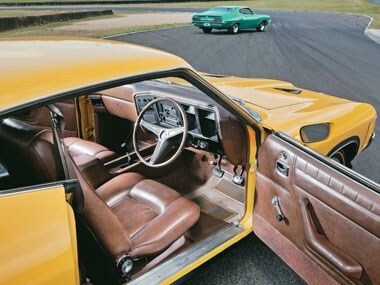 After noticing a pre-production XA Falcon GT Hardtop's tighter detailing, very different rear 'screen and generally more restrained styling by UK designer Allan Jackson, Iacocca commented to then Ford Australia president Sir Brian Inglis: "I am not sure your car would be extroverted enough to sell in the US. You must know your market well." The direct comparison could be made because the XA clay appeared in the US as early as 1969 and changed little before it appeared in 1972. Time has treated the XA's cleaner look better than the Torino's, even if it didn't help sales at the time. 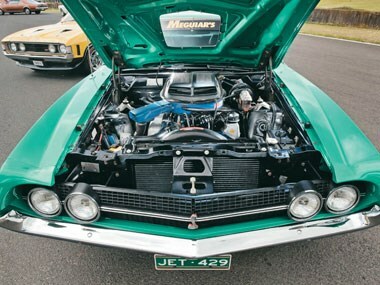 Ponchard noted: "The Torino was still a bit archaic compared to the Aussie Ford. It still has the hidden dash controls and old slide controls." Joe Kenwright added: "Ford Australia looked closely at the European Granada before going it alone with the XA and it shows in the cockpit design, rocker switches, instrument layout, seats, steering wheel and controls. The Torino's old Fairlane door handles and hidden park lights versus the XA's flush new lift-up handles and corner indicator/park lights highlight the divergence from US design, even if they did reach US Fords as well." JB picked up on the differences: "The XA GT is not as pulse-raising as the Torino. The chassis and dynamics are very '70s and the noise isolation is very good for the era. I also love the styling." Phil Walker: "The XA GT marks a generational change. Very balanced with European touches." Jim Richards agreed: "It felt a more modern car, [though] perhaps not as inspiring to drive." Joe Kenwright: "I never expected a 351 in semi-HO spec to feel so tame compared to the Torino. Yet I suspect performance is pretty similar once on the move, a mark of the reserve and balance built into the XA." It was at this point that the judges reached an impasse. Ponc summed it up: "The Torino is massive yet it has no rear room. I sat behind the split bench and the back seat is small and vertical. The XA doesn't have the weird driving position or a bar pushing at you in the front seats either." The judges conceded that the XA GT was not only just as quick in real terms, it handled better, felt tougher, was nicer to drive and offered far better accommodation, despite being a half size smaller than the Torino. The extra safety was also obvious. 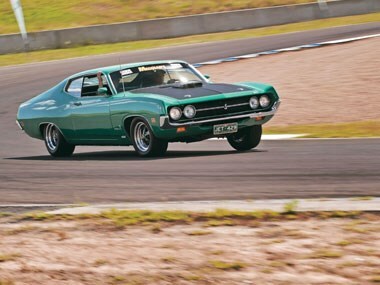 It was still not an easy decision as the X-factors for both cars were their engines and styling, and the 429 had given the Torino a healthy lead. Yet, in their original contexts, both were standouts in these areas. The aerodynamic XA GT took privateer John Goss to a Bathurst win against the odds in a factory spec car. By 1971, new NASCAR rules had killed the Torino's aero nose and 429 grunt intended to make it an unqualified track success. Phil summed up the RPO83's win: "The XA Falcon GT is a nice car to drive, with nice power and good brakes - it's an awesome package." It was the right decision. Unknown to judges, a decal had hidden a large crack that appeared in the Torino's windscreen during the testing. It confirmed what the US knew about these long wheelbase, big-block machines: drive them hard and windscreens can break. Aussies would not have tolerated a sloppy XA Hardtop and that forced Ford Australia to make it heavier and stronger than any US car designed for outright performance.